It’s time to retire the exhausted idea that the best journalism separates “fact” and “opinion”. The invaluable weekly roundup from NiemanLab carries (second item here) a summary of the current debate inside the US about the rival claims of neutrality for journalists against the growing number of voices arguing for reporters doing their work from an openly-declared point of view. Calling this the “exodus from objectivity” (a perhaps partial description in itself), the note underlines that people leaving jobs in mainstream media for ones in new media are now citing the lack of freedom imposed by neutrality rules in reporting. NYU professor Jay Rosen, who has been writing about this for years, said that “centrist detachment” was now so unpopular that it is driving talent away from traditional newsrooms . I say “current” debate because of course this has been an intermittent issue for journalists since anything called journalism began. I say “inside the US” because if you read this American discussion from anywhere else in the world, as I do, the missing element in US argument is any sense of how this goes anywhere else in the world. Try the British perspective for size. 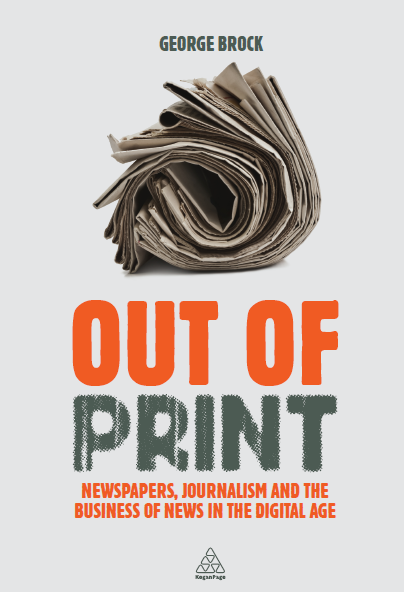 In Britain, the first newspapers grew from partisan newsheets; ideas of civic responsibility or inclusiveness weren’t uppermost in the minds of most editors and publishers. By the twentieth century newspapers had become more serious-minded, sober and influential. But even so, the separation of “fact” and “comment” was never as strict as that enforced (or at least declared) at US papers. Reporters on British quality papers, depending on their experience and seniority, were and are expected to make sense of the facts they report. Editors of serious papers vary the way in which they operate the mixture of reporting and sense-making but all work in the same tradition: you don’t just account for the facts, you explain, give context, analyse as well as publishing opinions about them. As news reached consumers more quickly and from more and more sources, so the depth which sense-making should provide has become a more important piece of the offering. When under attack, writers and editors tend to underplay the judgement and overplay the facts. Facts are more defensible. For decades there was a stable transatlantic divide over this. American journalists thought that this doctrine was a licence to slant the news, diluted the seriousness of the search for truth and made it easier for owners or publishers to use their properties to push their own agenda. British journalists derided the boring, prolix conventions of US journalism in which no reporter could ever say anything in their own voice. An “analyst” always had to be found and quoted to explain what was happening. French and German papers (Le Monde and the Frankfurter Allgemeine Zeitung would be examples) disdained what they felt was partisan aggression from British papers but nevertheless expected their writers to deploy their own judgement to explain. The outcome is this: there will now be more attention focussed on the relationship of fact and judgement. The artificial separation of “fact” and “opinion” has now outlived its usefulness in a world in which anyone with a mobile phone can “publish”. But in journalism the quality of the relationship between facts and the judgements made about them still matters. With unreliable facts, the judgement is worthless. But only with judgement, do the facts acquire real value. This is far better ground to be arguing on than trying to disentangle and divide two parts of journalism which belong together. This entry was posted on Sunday, September 26th, 2010 at 12:41 pm	and is filed under Standards, UK Press, US Press. You can follow any comments to this entry through the RSS 2.0 feed. Both comments and pings are currently closed.